The cattle water system that you design for your rotational grazing program must be sized match your herd's daily livestock water requirements. But supplying sufficient water to meet daily demand is not enough. Your water system must also be capable of meeting peak demand - either through larger trough sizes or high flow rates - to avoid creating long waits and stress at the livestock waterer, which impact cattle weight gains. In the daily pasture rotation article, I explained how competition for grass is beneficial to your grass-fed beef program because it creates positive competition in your pasture rotation and increases cattle weight gains. However, competition for water access is detrimental to your cattle herd because it causes stress, reduces cattle weight gains, and negatively impacts the tenderness and flavor of your beef product. On this page I will provide you with a quick overview of how to calculate the daily water requirements for raising beef cattle. I will also show you how to calculate the peak flow rates that your cattle water system must be able to deliver to meet peak demand. Why water is essential to weight gains when raising beef cattle. 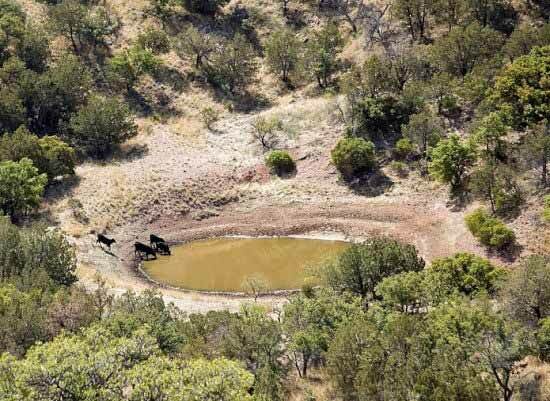 Water is obviously essential to the survival and health of your cattle herd. But it is also essential to cattle weight gains. Survival only requires a minimal amount of water, but to maximize pasture gains when raising beef cattle you need to ensure that your cattle have enough water to be able to digest all the grass they can eat. Water is essential for digestion. 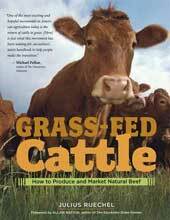 Cattle will limit their forage intake if their water supply is limited, or if their water supply is poor quality or has a poor taste. Meat is approximately 75% water, which is locked inside the cells and muscle tissues. The remaining 25% of meat is divided into protein (19%), intramuscular fat (2.5%), carbohydrates (1.2%), and soluble non-protein substances (2.3 %). Providing sufficient livestock water is therefore essential to cattle weight gains. How many gallons of water does your trough supply to your cattle herd every single day? A full trough does not necessarily mean that there is enough water for everyone in the herd to drink their fill. Supplying enough water is only half the battle. It also has to be supplied fast enough to meet demand. If cattle have to wait around all day for the trough to fill, it creates the perception of a limited resource, which becomes a huge source of stress for the herd as each herd member begins to compete for access. Even if the livestock waterer is capable of meeting your herd's daily cattle water requirements, if peak demand is not met, your cattle will shorten grazing times and spend most of the day mobbing the water trough. If flow rates at the trough are insufficient to meet peak demand, dominant cattle will try to block other cattle from accessing the trough, which increases stress in the herd and reduces the amount of water each cow or steer will drink in a day. This translates into reduced grazing time and reduced cattle weight gains. It is therefore essential that your cattle water system is designed to meet peak demand. Do you know the flow rates of the water in all of your troughs? How many gallons per minute are delivered to each trough in your cattle water system? Page 88 in the "Livestock Water" chapter of Grass-fed Cattle includes a handy tip and calculations for quickly testing the flow rates of all your water troughs. If your herd size changes, you always need to remember to recalculate not only if your larger herd size is still capable of meeting all their daily cattle water requirements but also whether their higher peak water demand is still capable of being met by your current water system. Many beef producers have unknowingly hurt their cattle weight gains and profitability because the rising peak demand of their expanding herd size quietly outgrew the peak flow rates supplied by their livestock water system. from Lance Brown, ed., BC Livestock Watering Manual, 1990: 2-4, BC Ministry of Agriculture and Fisheries. Flow rates at the cattle water trough will determine if your water source is capable of keeping up with peak demand during cattle drinking sessions. If cattle have to wait around because the livestock waterer is incapable of keeping up with peak demand, it will dramatically alter cattle behaviour both on pasture and around the water source and your cattle weight gains will suffer. Use the peak demand flow rates provided in the table below to determine if your current water system is capable of meeting peak demand. Swivel-lock Electric Fence Insulators - How to create instant temporary gates anywhere in your cattle water alleys.